Medicinal mushrooms are special type of fungi which are scientifically shown to have a wide range of benefits in the human body. While there are more than 2,000 species of edible mushrooms on the planet, only a small handful have the remarkable properties that categorise them as 'medicinal mushrooms'. From bringing balance and restoration to your immune system, boosting oxygen flow and enhancing your creative and mental acumen to regulating your blood sugar, reducing your stress levels and improving your quality of sleep, there’s almost nothing medicinal fungi can’t do. Below you'll find what we have produced as our 'definitive guide' - taking you through 8 of the worlds most potent and well-studied medicinal mushrooms. We detail the health benefits, different types and best ways to incorporate them into your diet, as well as the relevant links to our online store if you'd like to try them out for yourself! 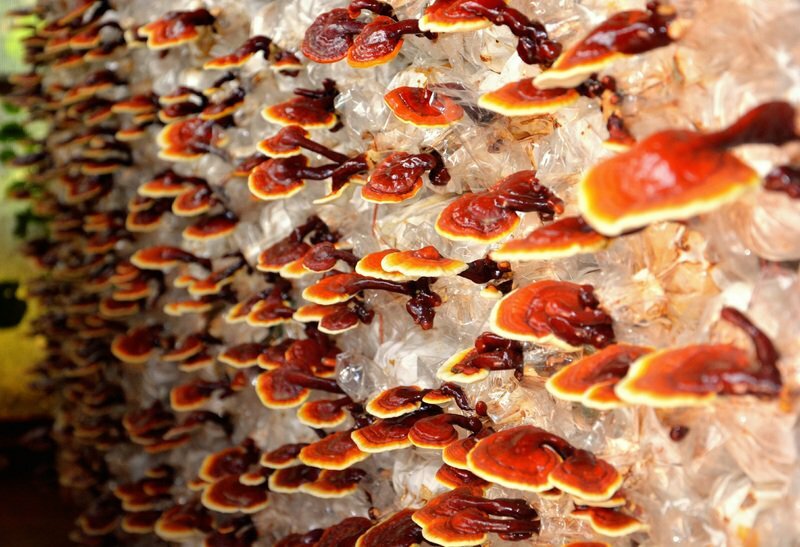 Probably the best known and most researched medicinal mushroom on the planet, reishi (ganoderma lucidum) is one of the most important Taoist herbs and is believed to nourish our shen, the spiritual essence of our being. Blessed with pseudonyms such as The Mushroom of Immortality and The Mushroom of Spiritual Potency, reishi was originally highly regarded for its strong anti-ageing properties and was often used by emperors in search of immortality long ago. The calming effects of reishi mushrooms make it perfect for stirring into a mug of boiling water at the end of the day to help lull yourself into a peaceful, rejuvenating sleep. Mushroom extracts aren’t heat-sensitive, so you can enjoy your steaming hot drink without worrying about the temperature affecting the integrity of the nutrients. You can get it in our online store here -> SuperFeast Reishi — The Superior Protector. Known as The Gift From Heaven by Siberian shamans, chaga (inotus obliquus) has the remarkable ability of rearranging disorganised cells in the body, thanks to its high melanin and betulinic acid content. Because of this, it’s very highly regarded by healers and medicine men and women in the Arctic regions and is considered to be one of the most sacred medicinal substances there is. Not only that, but the mighty fungi is also a treasure trove of vital vitamins, mineral and enzymes we need to thrive and stay healthy. An excellent medicinal mushroom for athletes, cordyceps (Cordyceps sinesis CS-4) is used to increase blood oxygenation and jing, the primordial energy in the kidneys. Cordyceps is well known in athletic circles to increase endurance and cellular performance, as well as lower recovery times. The superhero of the fungi world, cordyceps can also improve sleeping patterns, libido, stamina, appetite and energy, making it as close to a cure-all as you can get. This ancient medicine well-known amongst traditional Himalayan healers was first widely consumed by humans when yak herders noticed their animals becoming surprisingly strong and virile after consuming the mushroom. The herders tried the mushroom for themselves, experienced the same results and the rest is history! Like all medicinal mushrooms, you can easily add cordyceps to a mug of hot water to make a soothing, nutritious tea. You can also spoon some of the powder extract into coffee, smoothies or hot chocolate for a nourishing upgrade to any hot or cold drink. Yuo can get it in our online store here -> SuperFeast Cordyceps CS-4 Mushrooms — Athletic Performance. Used for centuries by monks to augment focus during meditation, elevate general strength and increase vigor, lion’s mane (hericium erinaceus) is most widely used in the modern world to increase brain function. While it can help clear your mind and improve your concentration, this powerful fungi also has more long-term cognitive advantages. It contains two special compounds (hericenones and erinacines) which stimulate the growth of new brain cells, lowering the chances of developing dementia. 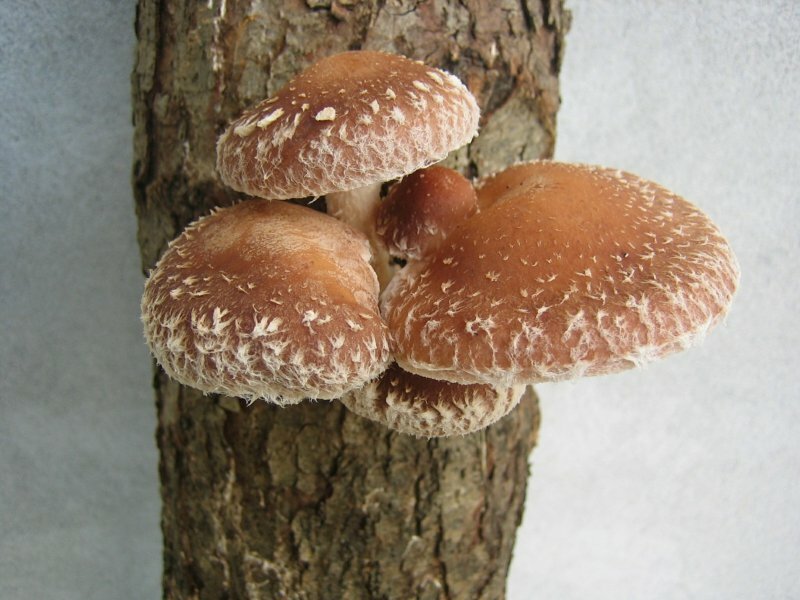 Lion’s mane medicinal mushroom benefits also include improving the function of the nervous system and it’s regularly used in traditional Chinese medicine to combat Qi deficiency. Try adding a couple of scoops of lion's mane to homemade soups and stews. Many people think this medicinal mushroom tastes subtly of seafood, making it a fantastic fungi powder to cook with. As such, due to its seafood flavour, we wouldn't recommend to simply stir lion’s mane into a mug of hot water, coffee or smoothie. Even if you’re completely unfamiliar with medicinal mushrooms, there’s a good chance you’ll have heard of shiitake mushrooms (lentinula edodes) as they’re a common ingredient in Asian cooking. This mushroom was originally harvested in the wild in China during the Ming Dynasty, but before long, the Japanese figured out an efficient way to grow them on logs. After this discovery, people who wanted their villages to become prestigious and affluent would cultivate shiitake mushrooms on logs to attract Buddhist monks. Tremella mushrooms (tremella fuciformis) have been used in Chinese medicine for thousands of years as a youth-preserving tonic. In fact, the imperial Concubine Yang Guifei, highly regarded to be the most beautiful woman in Chinese history, incorporated this mushroom into her daily beauty routine. Tremella’s robust antioxidants give skin a healthy glow by eliminating free radicals which cause cell damage and inflammation. Not only that, but this medicinal mushroom also encourages the body to increase its own antioxidant production which continues to take effect long after consumption. 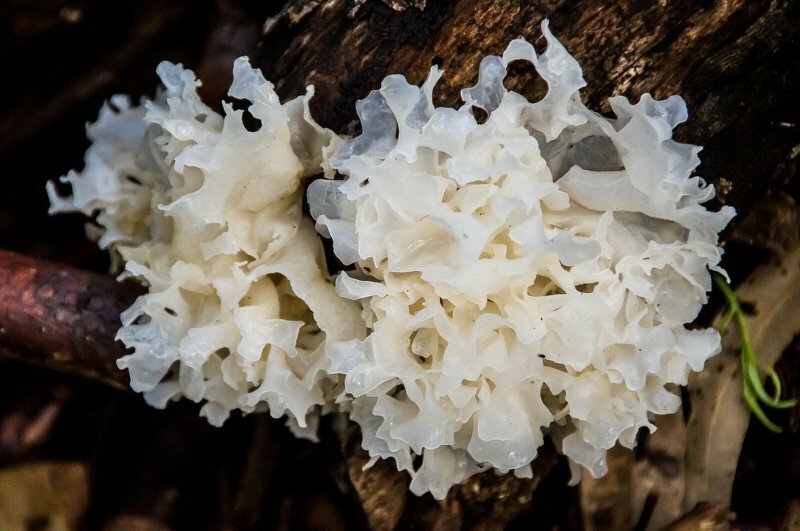 The flavour profile of tremella is very subtle and sweet, making it ideal to stir into tea, coffee and smoothies, or even use in baking and desserts. Because its taste isn’t overpowering, you can also combine tremella with other medicinal mushrooms to create your own custom life-promoting elixir at home. Get it in our online store here -> SuperFeast Tremella - The Beauty Mushroom. Named after its striking resemblance to the plume of feathers on the bird, the turkey tail mushroom (trametes versicolor) was used as early as the 15th century for its remarkable ability to cultivate a strong immune system capable of combating powerful pathogens. 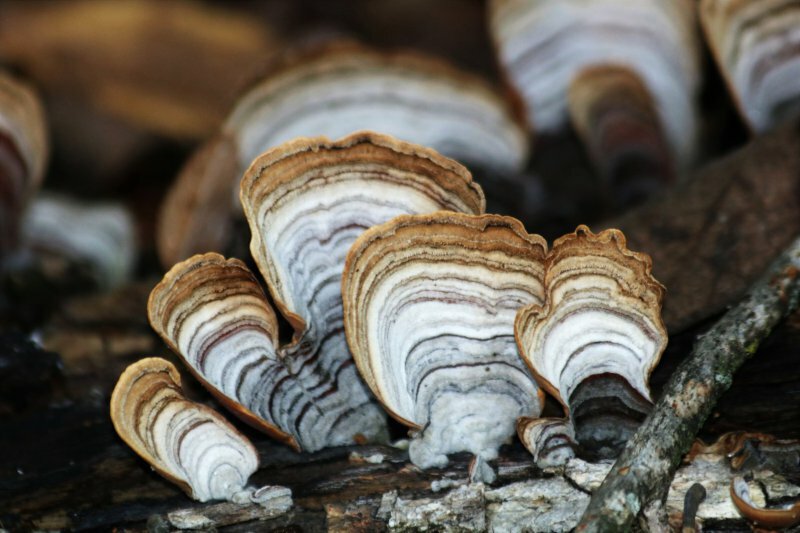 Also believed to enhance Qi (Chi), support strong bone health, tone the liver and improve digestion - the turkey tail mushroom is as good as medicinal fungi gets. 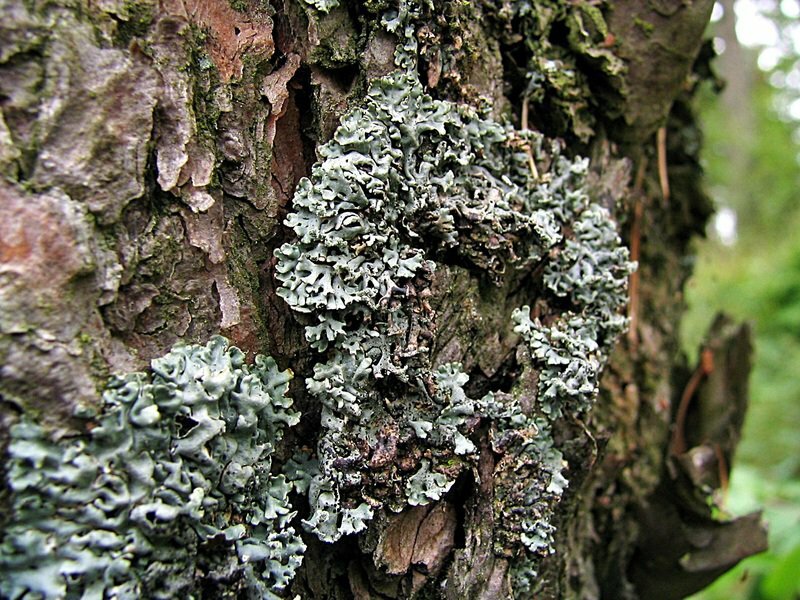 Regarded throughout the modern world as a potent tonic herb, turkey tail houses high levels of protein-bound polysaccharides PSP and PSK. It’s these molecules that give the mushroom its incredible ability to elevate core and surface immunity against harmful pathogens. 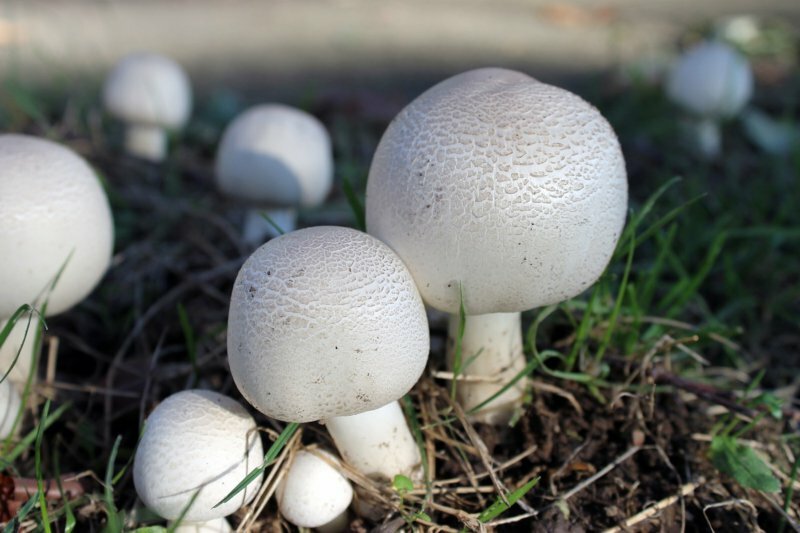 Also called The Mushroom of the Sun and The Mushroom of Life, the agaricus mushroom (agaricus blazei) is hugely popular in Japan, despite it originating in Brazil. The Japanese have placed incredible value on these medicinal mushrooms since scientists discovered South American tribes with many significantly elderly people who attributed their longevity to the fungi. While the mushroom isn’t a magical life-giving elixir, is does support the immune system, lower blood pressure, remove toxic cells from the body and decrease bad cholesterol levels — all of which help promote a long life. Agaricus mushroom powder has a neutral flavour that’s slightly sweet. Because of this, you can use it in all kinds of ways, from making mushroom teas and using it in soups to stirring it into your morning cup of coffee or even sprinkling a little bit over any meal for a super easy way to reap the medicinal mushroom benefits. We stock individual jars and bags of reishi, chaga, cordyceps, turkey tail, tremella, shiitake and lion’s mane mushrooms, as well as a speciality blend which comprises an incredible 8 mushroom blend: Mason's Mushrooms — Wild-Crafted Medicinal Mushrooms. Furthermore, if you've already experienced the amazing benefits of medicinal mushrooms and are looking to stock up, our exclusive SuperFeast Mushroom Madness Pack contains 7 different varieties of medicinal mushrooms as well as the Mason's Mushroom blend. We offer this with a $30 discount and free shipping Australia-wide, providing beginners with a fantastic introduction to the world of mushrooms and those familiar with them a long-lasting supply. Thanks as always for reading, please leave your comments and questions below and don't forget to share this with your friends and family who'd also love to know a bit more about the amazing world of medicinal mushrooms! Join our email below for brilliant articles, subscriber give-aways and a further 10% off your order!